I’m about to hit you with some real talk. This school year has been so, so busy. 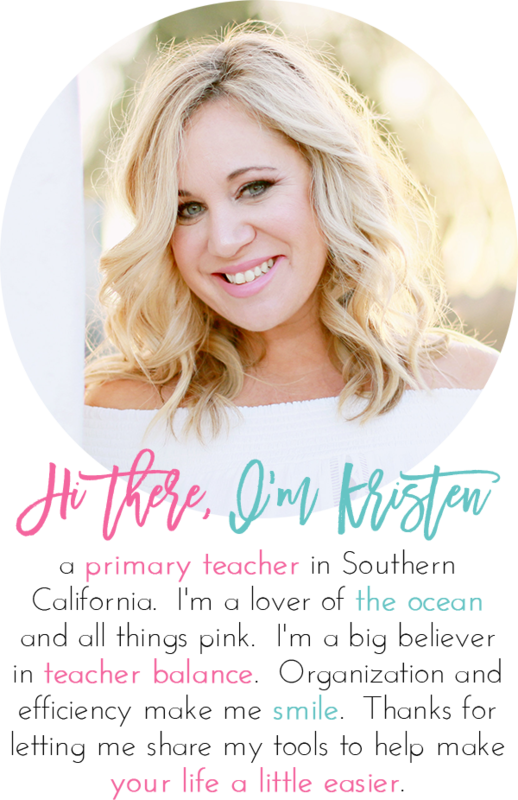 Between IEP meetings, figuring out how I can support my students who really need it, e mailing parents back, writing our newsletter, planning engaging lessons, getting married, and trying to find a little balance, I’ve forgotten to do a few things that I’ve always done in the past. Math Centers is at the top of that list! So today, 3 months into school, we finally did math centers. FINALLY!!! My kids were beyond ecstatic and engaged! One of my sweet little friends who really, really struggles with everything but has the biggest heart told me that the games we played made this day the best day ever. Granted, he says every day is the best day ever because he’s just that sweet. But today, I think he really meant it! As a result, I feel guilty that we didn’t start math centers earlier. But with 2017 quickly approaching and just another week until break, this is something I am going to implement with fidelity in January. You can too! 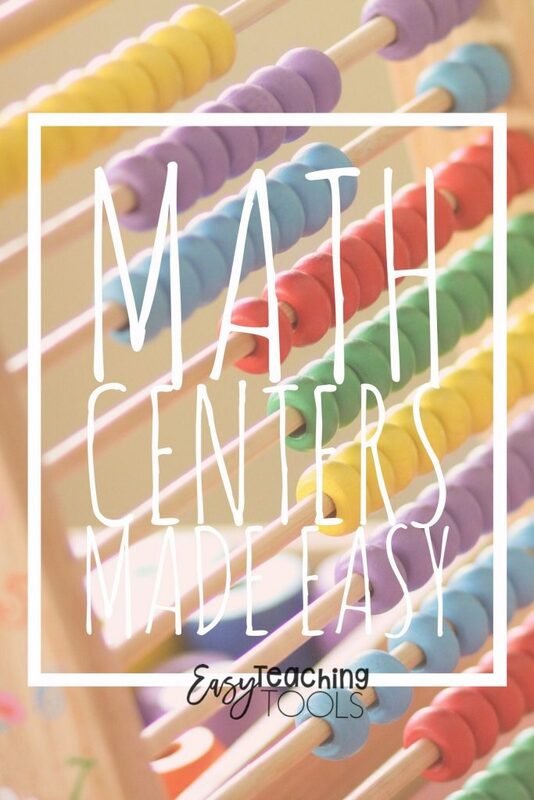 I’ve got a few tips to help you with your math centers. 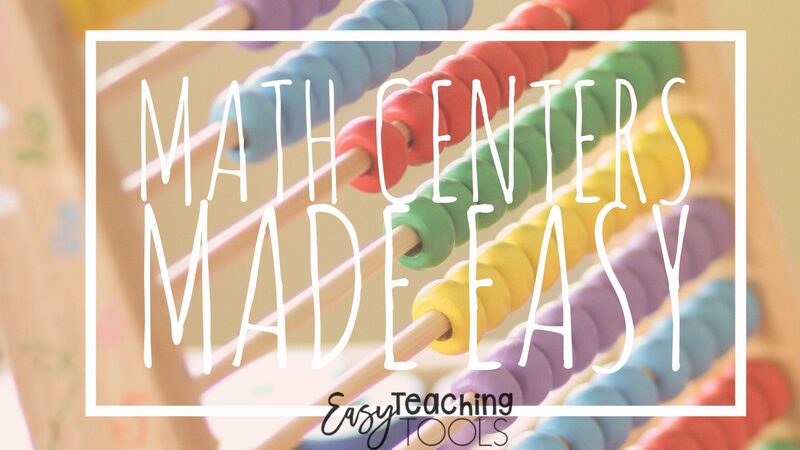 You can make math centers easy if you’re organized. 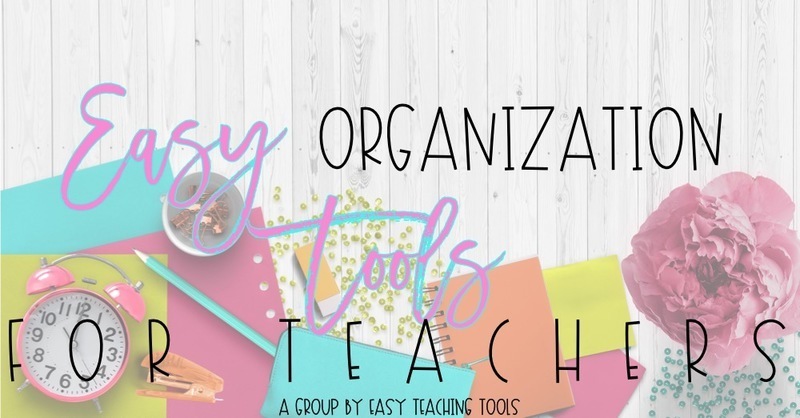 I’ve got lots of easy organization ideas to store all of your manipulatives and games here. In the past, I ran math center rotations once a week with 5 different rotations. Each rotations was 10-12 minutes. Today, they were only 7 due to our fire drill! Better than nothing, right! Students work on the computer or iPad while on Ten Marks or Dream Box. Kids play a math game that reinforces a previously learned skill for spiral review, like place value. Groups work on a sticker story word problem in their math notebook that reinforces the skill we’re currently working on. Students meet with me to go over our current skill for enrichment or reinforcement. We work at our kidney table and the students play a game with me or they work on solving their problems using our dry erase circles/wall pops. In the last rotation, students work on a smart board math game as a team, an independent worksheet page, the educreations app., or they play another game. It just depends on what we’re doing in that unit. 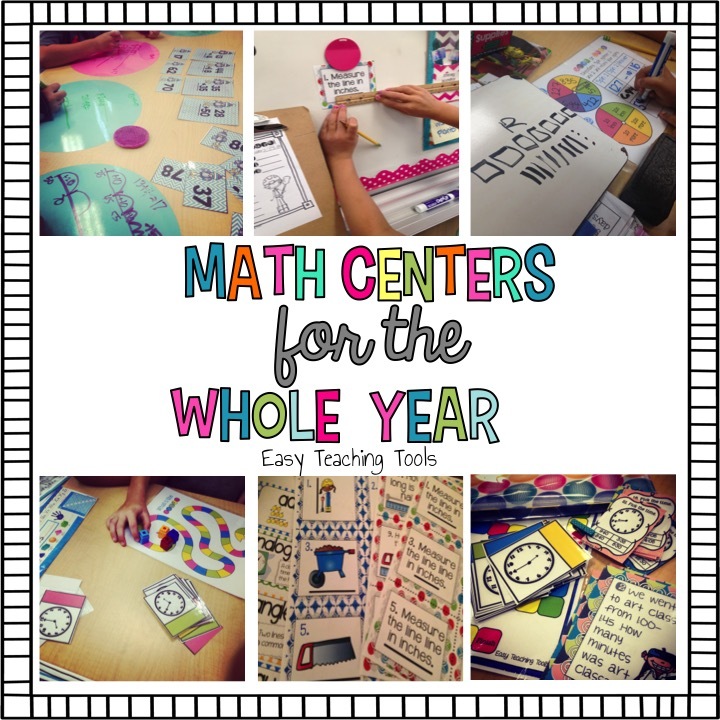 Don’t have time for math centers? If you’re like me, you may not have time for centers on a regular-basis. So here’s what I did at the beginning of the year. I set up a math station that my early finishers could go to. If you teach a combo class, you need to do this! 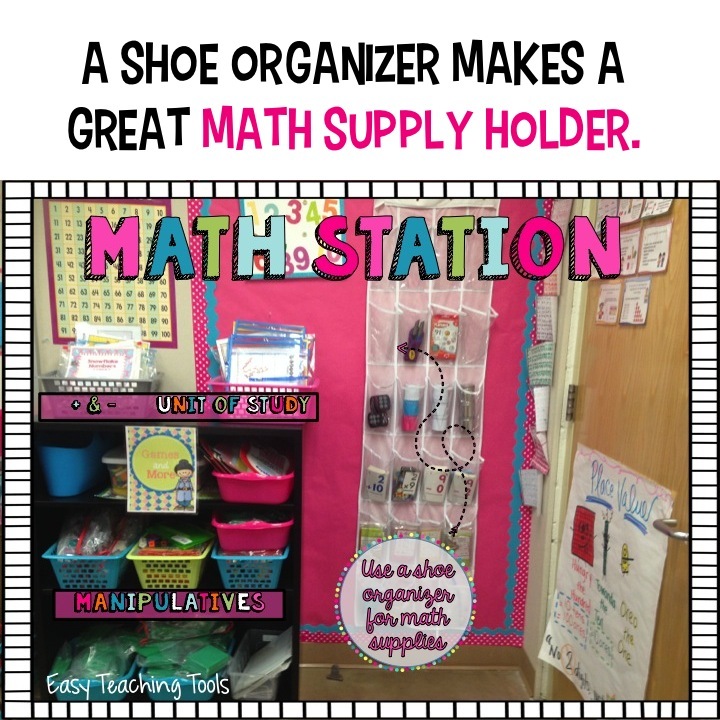 Keep manipulatives in a place that’s easy for students to reach. Many games need paper clips or game pieces (I use seasonal erasers from Target) so I keep them in a cup in our shoe organizer. 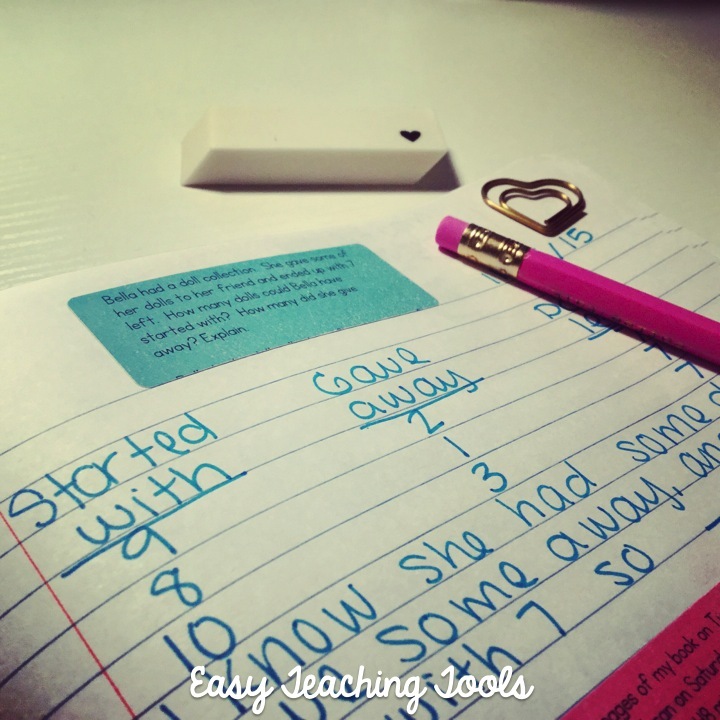 Subscribe today to get a telling time game straight to your inbox to play with your students today!